In this day and age it’s pretty difficult to keep something truly under wraps. And when you’re using SEMA as the platform to unveil it, that task gets even more difficult. 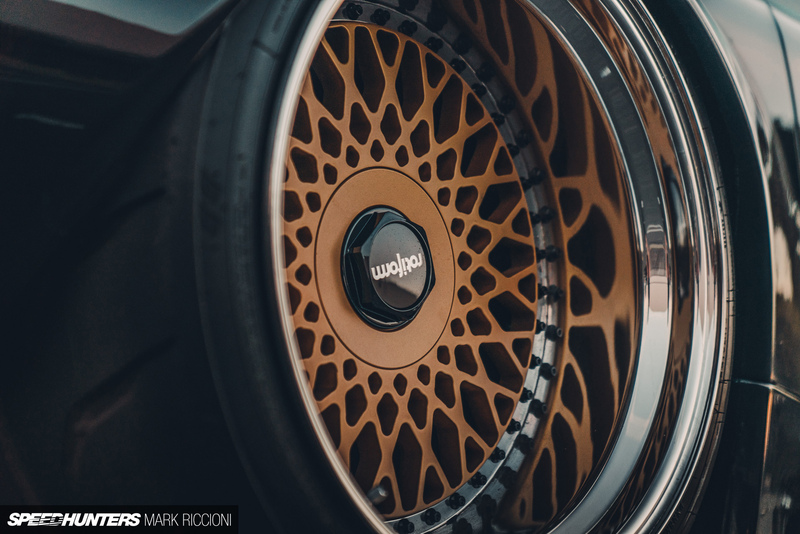 Luckily for us at Air Lift Performance, we’re proud to work with some of the best in the business, including Jason Whipple of Rotiform Wheels-fame. When Jason told us about his latest build (set to be finished just in time for SEMA) we couldn’t resist unveiling it in the Air Lift Performance stand. No pressure… just had the entire SEMA display depending on it. The result was even better than we could’ve ever imagined. 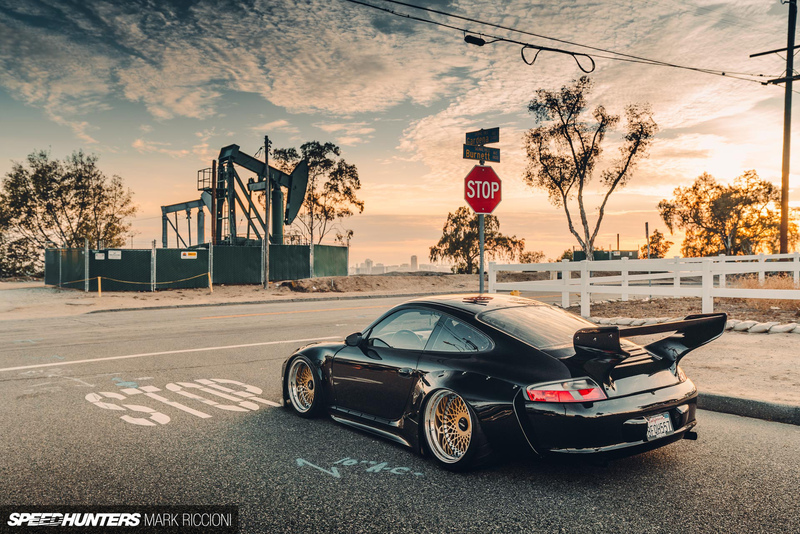 In its most basic form, you’re looking at a 996 Porsche fitted with the Old & New 935-inspired bodykit. This kit has been around for over a year now, and used by tuners all around the world, but Jason’s approach is possibly our favourite yet. Given the race-inspired nature of the kit, the most obvious choice it to paint (or wrap) a Porsche to look reminiscent of an old racing livery. That’s cool and all, but it detracts from the whole point of this kit; it’s supposed to be a race-inspired kit for the road! 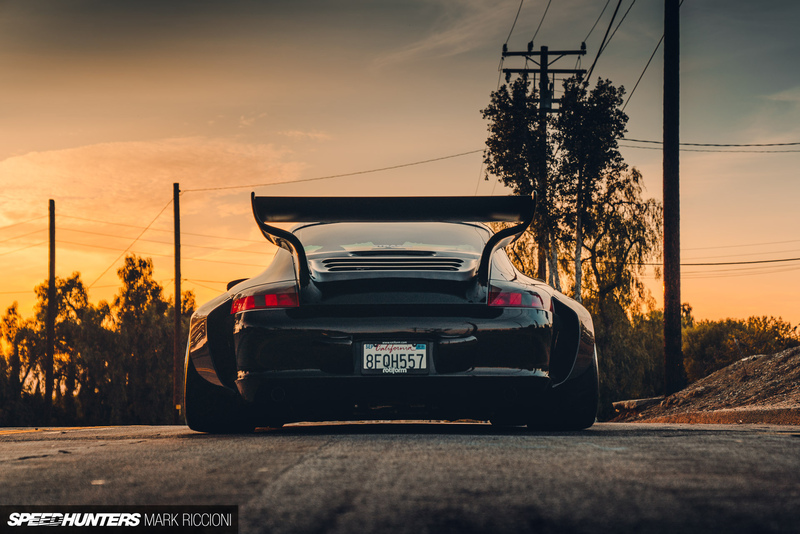 Instead, Jason opted to paint the 996 in a super-glossy coat of black. Sounds simple, but given the complexity of the Old & New kit (plus the fact that black paint shows nearly every imperfection) it was a brave choice to embark on ahead of SEMA. But, as soon as it arrived on the stand, it was obvious that he’d made the right decision. 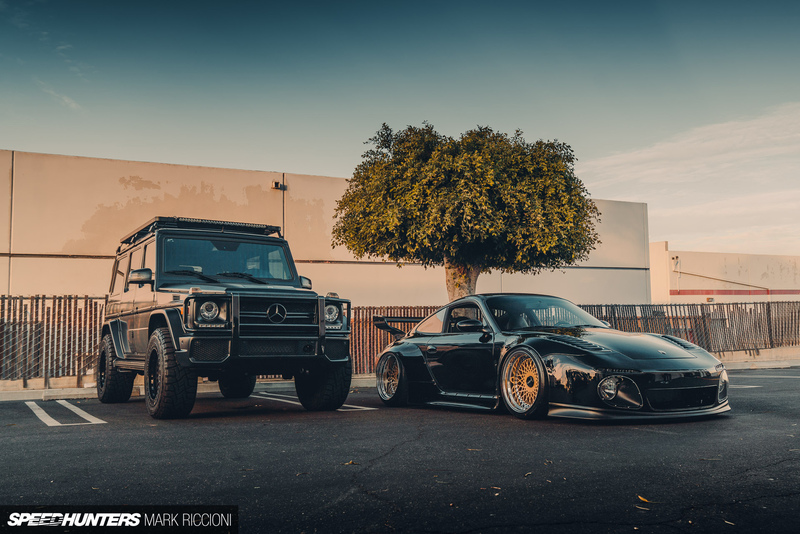 The work was undertaken by Strasse Sport in the run up to SEMA. 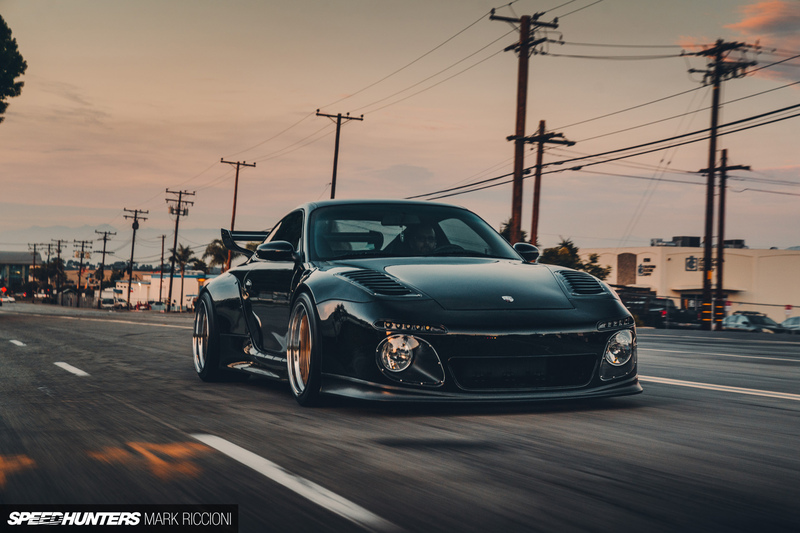 The bespoke Air Lift Performance suspension by Sadistic Iron Works allows for the car to be street driven and then lowered over the 19-inch Rotiform LHR wheels, measuring 10.5-inches and 12.5-inches wide at the front and rear, respectively. Toyo Proxes R888R tires were wrapped around the 3-piece wheels and, as you’d expect, the wheel fitment isn’t bad at all. What does the car look like in person? It’s wild to see these cars driven in real life, to be honest. At SEMA there are so many things to look at that you almost take these cars for granted. Millions of hours have been put into the builds, but it’s difficult to really appreciate the cars because there are just so many. 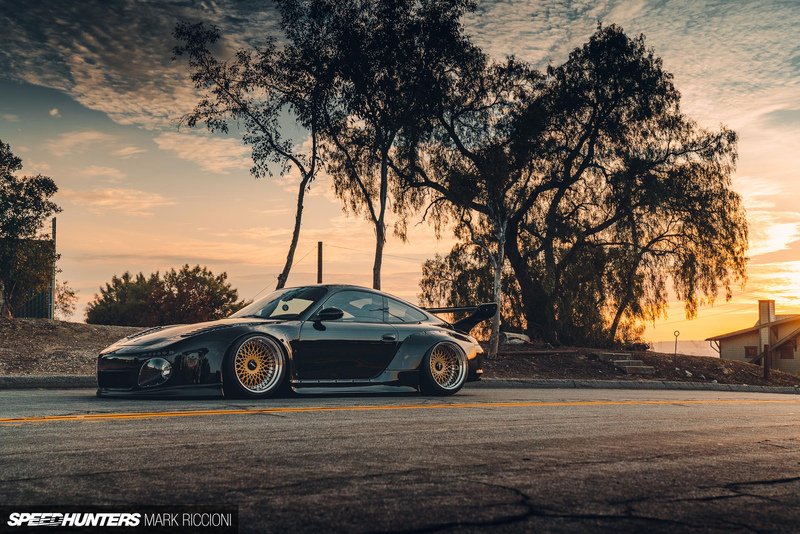 It’s undoubtedly the best Old & New-kitted Porsche we’ve ever laid eyes on.